After the first major hepatic resection, a left hepatic resection, carried out in 1888 by Carl Langenbuch, it took another 20 years before the first right hepatectomy was described by Walter Wendel in 1911. 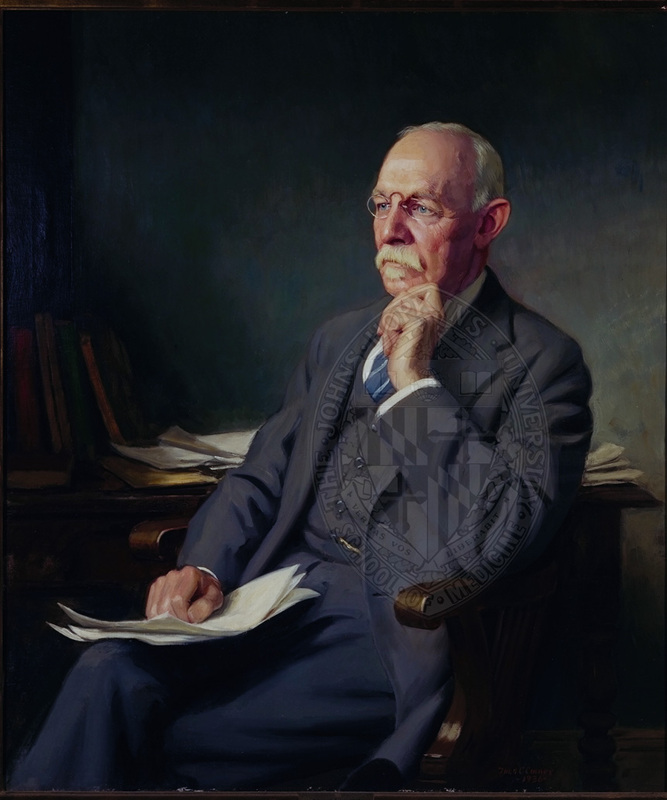 Three years before, in 1908, Hogarth Pringle provided the first description of a technique of vascular control, the portal triad clamping, nowadays known as the Pringle maneuver. Liver surgery has progressed rapidly since then. Modern surgical concepts and techniques, together with advances in anesthesiological care, intensive care medicine, perioperative imaging, and interventional radiology, together with multimodal oncological concepts, have resulted in fundamental changes. Perioperative outcome has improved significantly, and even major hepatic resections can be performed with morbidity and mortality rates of less than 45% and 4% respectively in highvolume liver surgery centers. 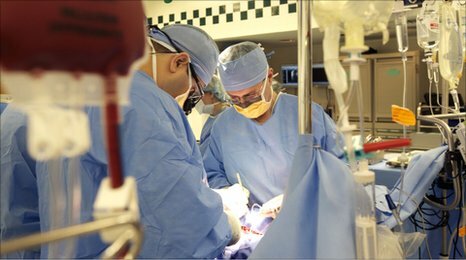 Many liver surgeries performed routinely in specialized centers today were considered to be high-risk or nonresectable by most surgeons less than 1–2 decades ago.Interestingly, operative blood loss remains the most important predictor of postoperative morbidity and mortality, and therefore vascular control remains one of the most important aspects in liver surgery. First described by Pringle in 1908, it has proven effective in decreasing haemorrhage during the resection of the liver tissue. It is frequently used, and it consists in temporarily occluding the hepatic artery and the portal vein, thus limiting the flow of blood into the liver, although this also results in an increased venous pressure in the mesenteric territory. Hemodynamic repercussion during the PM is rare because it only diminishes the venous return in 15% of cases. The cardiovascular system slightly increases the systemic vascular resistance as a compensatory response, thereby limiting the drop in the arterial pressure. Through the administration of crystalloids, it is possible to maintain hemodynamic stability. In the 1990s, the PM was used continuously for 45 min and even up to an hour because the depth of the potential damage that could occur due to hepatic ischemia was not yet known. During the PM, the lack of oxygen affects all liver cells, especially Kupffer cells which represent the largest fixed macrophage mass. When these cells are deprived of oxygen, they are an endless source of production of the tumour necrosis factor (TNF) and interleukins 1, 6, 8 and 10. IL 6 has been described as the cytokine that best correlates to postoperative complications. In order to mitigate the effects of continuous PM, intermittent clamping of the portal pedicle has been developed. This consists of occluding the pedicle for 15 min, removing the clamps for 5 min, and then starting the manoeuvre again. This intermittent passage of the hepatic tissue through ischemia and reperfusion shows the development of hepatic tolerance to the lack of oxygen with decreased cell damage. Greater ischemic tolerance to this intermittent manoeuvre increases the total time it can be used. Surgery is a profession defined by its authority to cure by means of bodily invasion. The brutality and risks of opening a living person’s body have long been apparent, the benefits only slowly and haltingly worked out. Nonetheless, over the past two centuries, surgery has become radically more effective, and its violence substantially reduced — changes that have proved central to the development of mankind’s abilities to heal the sick. Consider, for instance, amputation of the leg. The procedure had long been recognized as lifesaving, in particular for compound fractures and other wounds prone to sepsis, and at the same time horrific. Before the discovery of anesthesia, orderlies pinned the patient down while an assistant exerted pressure on the femoral artery or applied a tourniquet on the upper thigh. Surgeons using the circular method proceeded through the limb in layers, taking a long curved knife in a circle through the skin first, then, a few inches higher up, through the muscle, and finally, with the assistant retracting the muscle to expose the bone a few inches higher still, taking an amputation saw smoothly through the bone so as not to leave splintered protrusions. Surgeons using the flap method, popularized by the British surgeon Robert Liston, stabbed through the skin and muscle close to the bone and cut swiftly through at an oblique angle on one side so as to leave a flap covering the stump. The limits of patients’ tolerance for pain forced surgeons to choose slashing speed over precision. With either the flap method or the circular method, amputation could be accomplished in less than a minute, though the subsequent ligation of the severed blood vessels and suturing of the muscle and skin over the stump sometimes required 20 or 30 minutes when performed by less experienced surgeons. For physicians, part of professionalism requires that when confronted with a choice between what is good for the physician and what is good for the patient, they choose the latter. This occurs and is expected sometimes to the detriment of personal good and that of physicians’ families. Tom Krizek even goes so far as to question whether surgery is an ‘‘impairing profession.’’ This forces one to consider the anticipated lifestyle. In sorting this out, it is neither an ethical breach nor a sign of weakness to allocate high priority to families and to personal well-being. When trying to explain why surgery may be an impairing profession, Krizek expands with a cynical description of the selection process. Medical schools seek applicants with high intelligence; responsible behavior; a studious, hard-working nature; a logical and scientific approach to life and academics; and concern for living creatures. He goes further to explain that in addition to these characteristics, medical schools also look for intensity and drive, but are often unable to make distinctions among those who are too intense, have too much drive, or are too ingratiating. There are many ethical challenges confronting medical students. As they start, medical students often have altruistic intentions, and at the same time are concerned with financial security. The cost of medical education is significant. This can encourage graduates to choose specialty training according to what will provide them the most expedient means of repaying their debt. This can have a significant, and deleterious, impact on the health care system in that the majority of medical graduates choose to pursue specialty training, leaving a gap in the availability of primary care providers. As medical students move into their clinical training, they begin interacting with patients. One concern during this time is how medical students should respond and carry on once they believe that a mistake on their part has resulted in the injury or death of another human being. In addition, the demands of studying for tests, giving presentations, writing notes, and seeing patients can be overwhelming. The humanistic and altruistic values that medical students have when they enter medical school can be lost as they take on so much responsibility. They can start to see patient interactions as obstacles that get in the way of their other work requirements. During their clinical years, medical students decide what field they will ultimately pursue. For students to make an informed decision about a career in surgery, they need to know what surgeons do, why they do it, and how surgery differs from other branches of medicine. It is important for them to be aware of what the life of a surgeon entails and whether it is possible for them to balance a surgical career with a rewarding family life. Beginning residents are confronted with a seemingly unbearable workload, and they experience exhaustion to the point where the patient may seem like ‘‘the enemy.’’ At the same time, they must learn how to establish strong trusting relationships with patients. For the first time, they face the challenge of accepting morbidity and death that may have resulted directly from their own actions. It is important that residents learn ways to communicate their experience to friends and family, who may not understand the details of a surgeon’s work but can provide valuable support. The mid-level resident confronts the ethical management of ascending levels of responsibility and risks, along with increasing emphasis on technical knowledge and skills. It is at this level that the surgical education process is challenged to deal with the resident who does not display the ability to gain the skills required to complete training as a surgeon. Residents at this level also must deal with the increasing level of responsibility to the more junior residents and medical students who are dependent on them as teacher, organizer, and role model. All of this increasing responsibility comes at a time when the resident must read extensively, maintain a family life, and begin to put long-range plans into practice in preparation for the last rotation into the chosen final career path. The senior surgical resident should have acquired the basics of surgical technique and patient management, accepting nearly independent responsibility for patient care. The resident at this level must efficiently and fairly coordinate the functioning team, engage in teaching activities, and work closely with all complements of the staff. As far as ethics education is concerned, residents at this stage should be able to teach leadership, teamwork, and decision-making. They should be prepared to take on the value judgments that guide the financial and political aspects of the medical and surgical practice. competently care for patients, but only parents can be uniquely present in the lives of their children. Time flies, and surgeons must often remind themselves that their lives and the lives of their family members are not just a dress rehearsal. A 65-year-old surgeon who maintains a full operating and office schedule, is active in community and medical organizations, and has trained most of her surgical colleagues is considering where to go next with her career. Recently, her hospital acquired the equipment to allow robotic dissection in the area where she does her most complicated procedures. She has just signed up to learn this new technology, but is beginning to reflect on the advisability of doing this. How long should she continue at this pace, and how does she know when to slow down and eventually quit operating and taking the responsibility of caring for patients? Murray Brennan summarizes the dilemma of the senior surgeon well. The senior surgeon is old enough and experienced enough to do what he does well. He yearns for the less complicated days where he works and is rewarded for his endeavors. He becomes frustrated by restrictive legislation, the tyranny of compliance, and the loss of autonomy. Now regulated, restricted, and burdened with compliance, with every medical decision questioned by an algorithm or guideline, he watches his autonomy of care be ever eroded. Frustrated at not being able to provide the care, the education, and the role model for his juniors, he abandons the challenge. Each surgeon should continuously map a career pathway that integrates personal and professional goals with the outcome of maintaining value, balance, and personal satisfaction throughout his or her professional career. He or she should cultivate habits of personal renewal, emotional self-awareness, and connection with colleagues and support systems, and must find genuine meaning in work to combat the many challenges. Surgeons also need to set an example of good health for their patients. Maintaining these values and healthy habits is the work of a lifetime. Rothenberger describes the master surgeon as a person who not only knows when rules apply, recognizes patterns, and has the experience to know what to do, but also knows when rules do not apply, when they must be altered to fit the specifics of an individual case, and when inaction is the best course of action. Every occasion is used to learn more, to gain perspective and nuance. In surgery, this is the rare individual who puts it all together, combining the cognitive abilities, the technical skills, and the individualized decision-making needed to tailor care to a specific patient’s illness, needs, and preferences despite incomplete and conflicting data. The master surgeon has an intuitive grasp of clinical situations and recognizes potential difficulties before they become major problems. He prioritizes and focuses on real problems. He possesses insight and finds creative ways to manage unusual and complex situations. He is realistic, self-critical, and humble. He understands his limitations and is willing to seek help without hesitation. He adjusts his plans to fit the specifics of the situation. He worries about his decisions, but is emotionally stable. WS Halsted – Bull Johns Hopkins Hosp 15: 267, 1904. A cirurgia é uma forma de terapia para as doenças que é motivada pelo CORAÇÃO, planejada na CABEÇA e executada pelas MÃOS. Following is a list of Dr. Ephraim McDowell’s personal qualities described as “C” words along with evidence corroborating each of the characteristics. Courageous: When he agreed to attempt an operation that his teachers had stated was doomed to result in death, he, as well as his patient, showed great courage. Compassionate: He was concerned for his patient and responded to Mrs. Crawford’s pleas for help. Communicative: He explained to his patient the details of her condition and her chances of survival so that she could make an informed choice. Committed: He promised his patient that if she traveled to Danville, he would do the operation. He made a commitment to her care. Confident: He assured the patient that he would do his best, and she expressed confidence in him by traveling 60 miles by horseback to his home. 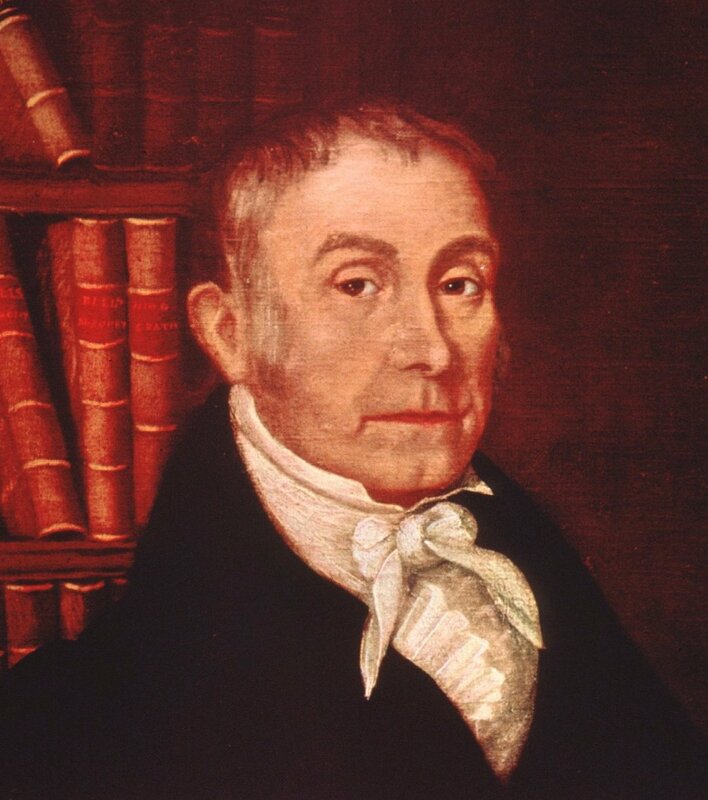 Competent: Although lacking a formal medical degree, he had served an apprenticeship in medicine for 2 years in Staunton, Virginia, and he had spent 2 years in the study of medicine at the University of Edinburgh, an excellent medical school. In addition, he had taken private lessons from John Bell, one of the best surgeons in Europe. By 1809 he was an experienced surgeon. Carefull: Despite the fact that 2 physicians had pronounced Mrs. Crawford as pregnant, he did a careful physical examination and diagnosed that she was not pregnant but had an ovarian tumor. He also carefully planned each operative procedure with a review of the pertinent anatomic details. As a devout Presbyterian, he wrote special prayers for especially difficult cases and performed many of these operations on Sundays. Courteous: He was humble and courteous in his dealings with others. Even when he was publicly and privately criticized after the publication of his case reports, he did not react with vitriol. The qualities of character demonstrated by Dr. Ephraim McDowell 200 years ago are still essential for surgeons today.